Hello, everybody! 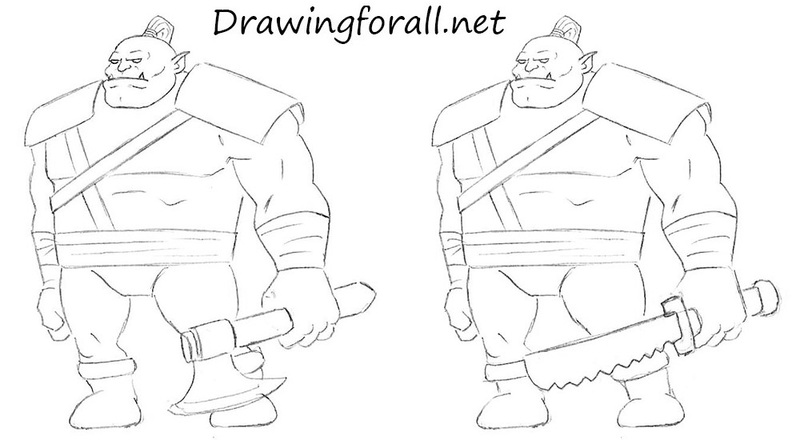 Today we have prepared a new drawing lesson, in which we will show you how to draw a cartoon orc. 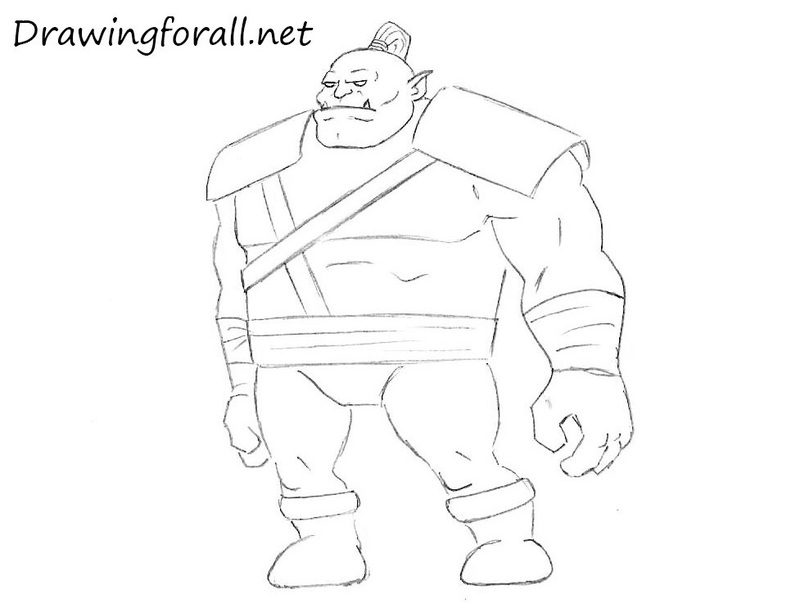 We have divided the tutorial into a several simple steps, so that each artist will be able to draw the cartoon orc. 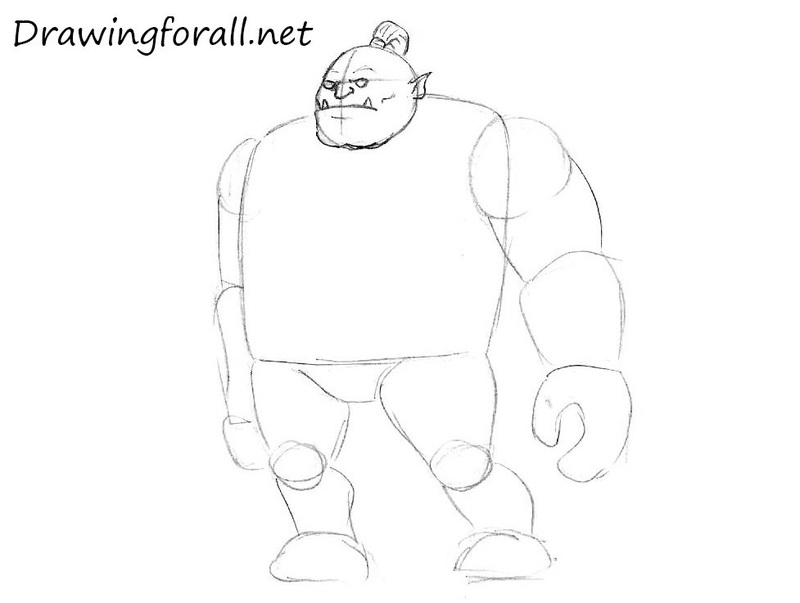 So, let’s start the tutorial and learn how to draw a cartoon orc! 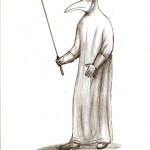 At first draw a circle, as a guide for the head. Use very light lines for sketching. Sketch out the lines of facial symmetry. The vertical line indicates the center of the face and the horizontal line will help us to draw the eyes. 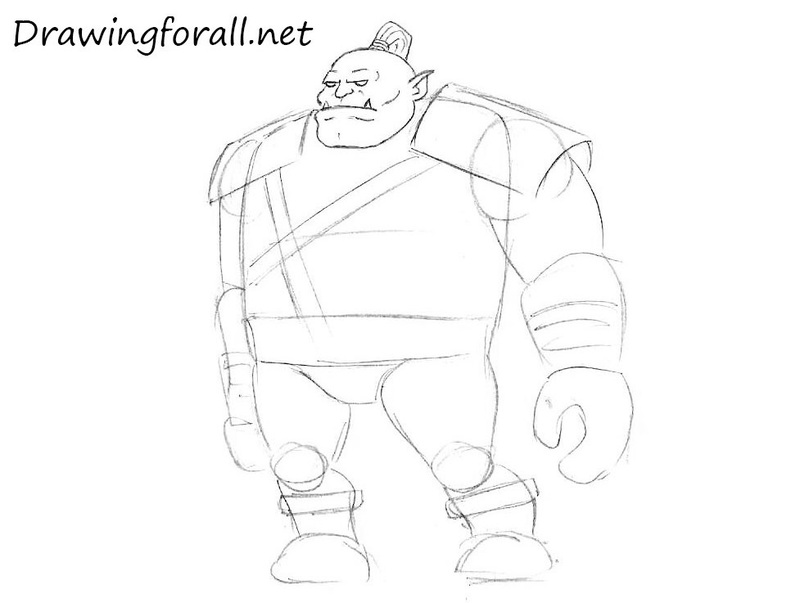 And we continue to draw the cartoon orc. Using a big square sketch out the torso. Our orc very strong and stocky, and in order to show it we draw it without a neck. 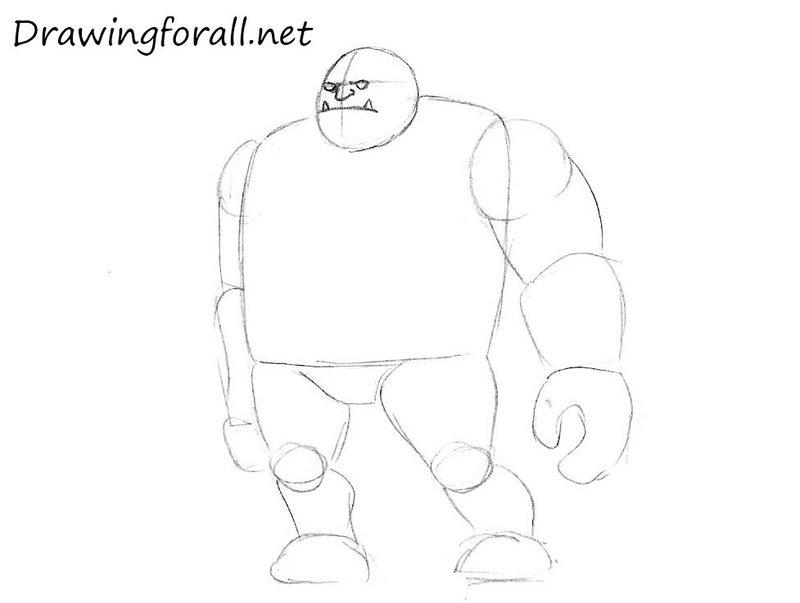 At this step, in the tutorial about a cartoon orc, we will draw the limbs. 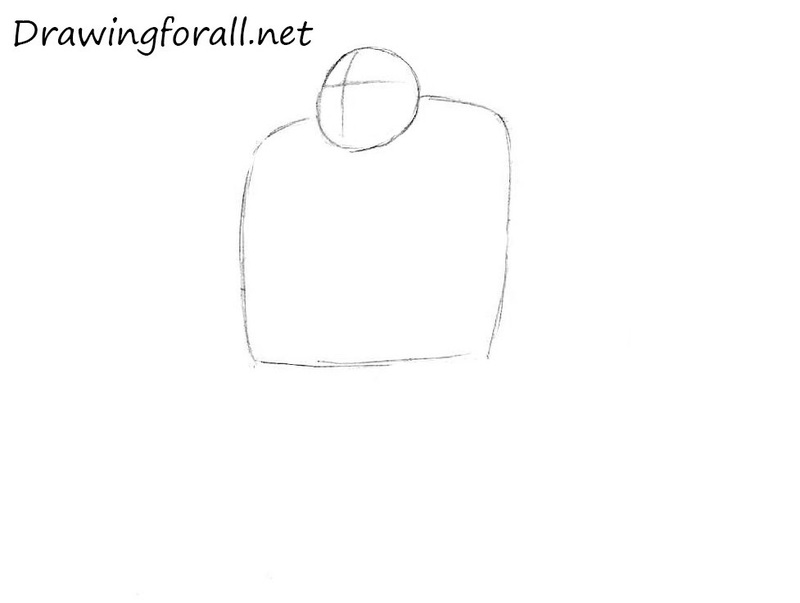 First, using big circles draw the shoulders. Using cylinders draw the arms. Note, that each arm consists of two identical cylinders. 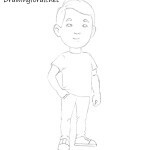 Sketch out the hands as in our example. Sketch out the legs. Using circles draw the knees. Draw the feet using semi-circles. At this step we will start to draw the face of the orc. Using little semi-circles draw the eyes which located right on the horizontal line of the face. Just below the line of the eyes draw the nose, which located right on the vertical line of the face. Using a curved line draw the mouth. Draw two triangular tooth. 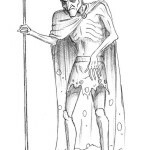 At this step we continue to draw the head of the cartoon orc. At the top of the head draw hair. 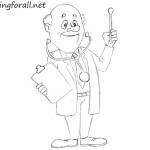 Draw the spiky ear, which should be located on the line of the eyes. Draw the cheekbones and the large and flat chin as in our example. Draw the wrinkles above the eyes. Erase all the guidelines and unnecessary strokes from the head. Darken and smoothen the lines as in our example below. Draw the lines on the hair. At this step we start adding the details to our orc. Draw the shoulder protectors. Using long lines draw the straps on the chest. 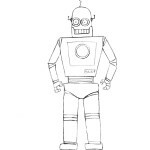 Sketch out the belt using a horizontal line. 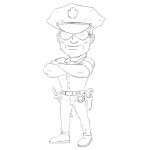 Draw the lines on the forearm for the gloves and lines on the shin for the shoes. Erase all the remaining guidelines. Darken and smoothen the lines. Make them clean as in our example. 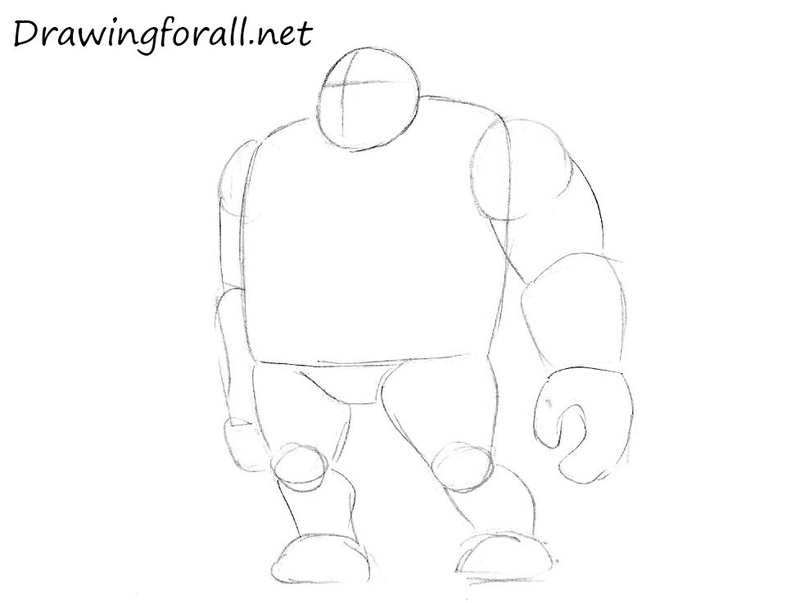 Add details such as the lines of muscles on the chest, arms and legs. So, the orc ready! If you want, you can draw different weapons as in our example. It was the drawing lesson about how to draw a cartoon orc. 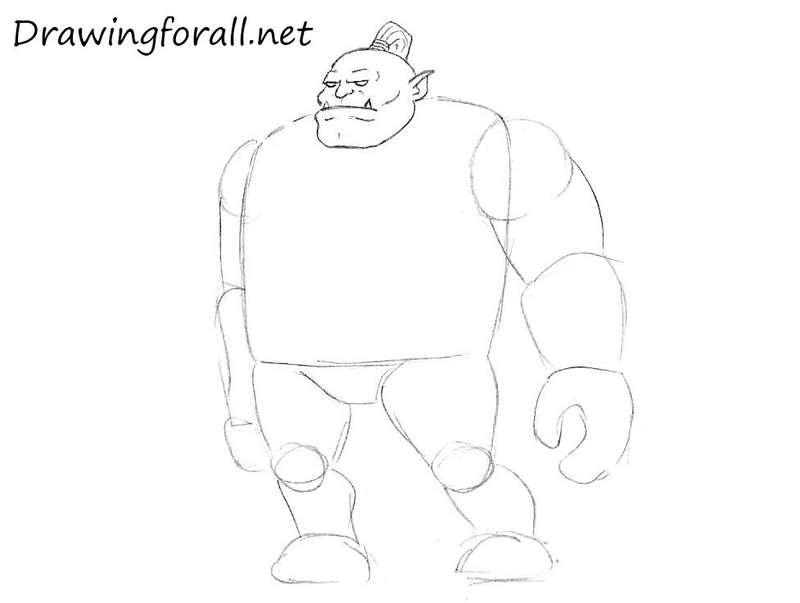 We hope that our tutorial has helped you learn to draw orcs. Goodbye!